As peace officers, we all understand the many rewards and challenges of our profession. Soon the public will know how it feels to walk in our shoes, when the National Law Enforcement Museum opens October 13 in Washington, D.C. 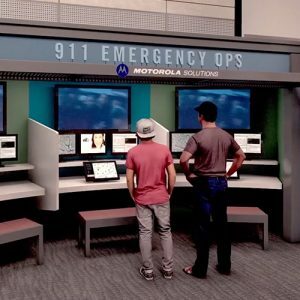 The first national museum to tell the story of American law enforcement will inform the public through eight interactive and immersive exhibits about law enforcement then and now, forge closer bonds between police and the public and give visitors insight into what it’s like to be an officer. “What makes our museum so unique is our collection of more than 21,000 artifacts from every era of American law enforcement,” said Rebecca Looney, senior director of exhibits and programs at the National Law Enforcement Museum, in a news release. Museumgoers will be able to see items such as an 1857 musket, plane fragments from 9/11, the phone used to make the first 9-1-1 call and memorabilia from police TV shows. “Our visitors will also get a glimpse of what life is like for the more than 900,000 law enforcement officers serving across our country,” she said. Many a child who’s dreamed of becoming a cop can now find out what’s it like to be one. Visitors can take part in a training scenario or assume the role of a police dispatcher and learn what it’s like to make a crucial decision in a split second. They can also hear 50 firsthand accounts from law enforcement members about life on the job. To that end, the museum will host events such as a Run for the Badge. This run on the museum’s opening day will raise money for the families of the 127 officers killed in the line of duty last year. Another community event is scheduled for November 15, when an Ohio police chief, a Massachusetts lieutenant and a Baltimore director of opioid overdose prevention will discuss the opioid crisis and how their communities assist families affected by the drugs. “We want to ensure that the museum’s programming is relevant in reflecting issues facing our nation today,” Brant said. “As much as we want to educate the public on the history of law enforcement, we want to reflect the role law enforcement plays in current events and how we can build strong communities through open conversations,” he says. The opening of the National Law Enforcement Museum, which was approved by Congress in 2000 and is an initiative of the National Law Enforcement Officers Memorial Fund, has been a long time coming. Ground was broken next to the National Law Enforcement Officers Memorial in 2010 and funding to build it was secured in 2016. No government monies were used. Instead, the museum is funded exclusively by individual and corporate sponsors such as Motorola Solutions, Police Unity Tour, Target, Port Authority of New York and New Jersey and American Police Beat. LAAPOA is also a contributor through its membership in the Peace Officers Research Association of California (PORAC), which donated $500,000 to the effort and is honored on the museum’s “Guardians of Justice” honor wall. “Over the years, I’ve heard much about this museum, and it’s finally here,” says Marshall McClain, president of the Los Angeles Airport Peace Officers Association. “I’m looking forward to attending the grand opening. The interactive exhibits will help give the public an idea of what it’s like to be in our shoes, with the safety threats and quick decisions that law enforcement make daily. Hopefully, it will also inspire the next generation of officers to join our profession by showing the impact it can have on people’s lives.